Eco-Gardening has been a huge success at Longfellow! Working under the School Grounds Pathway of the Eco-Schools USA Program, student eco-gardeners removed harmful, invasive plants and replaced them with native plants that bring more wildlife a﻿nd add beauty to Longfellow. The Butterfly Garden in front of the office has brought red and yellow finches to the school, as well as butterflies and other necessary insects. Many parents have expressed an interest in helping with the gardens. There is no limit to the amount of experience necessary. In addition to working on the 7th grade environmental projects, we have an Organic Vegetable Garden, a Rain Garden, a Butterfly Garden, a Forest Reclamation area, a pathway to a nearby county stream, the boxes in front of the school, and many more areas around the school waiting for someone to take an interest. ​Email Natalie Coburn for more information. 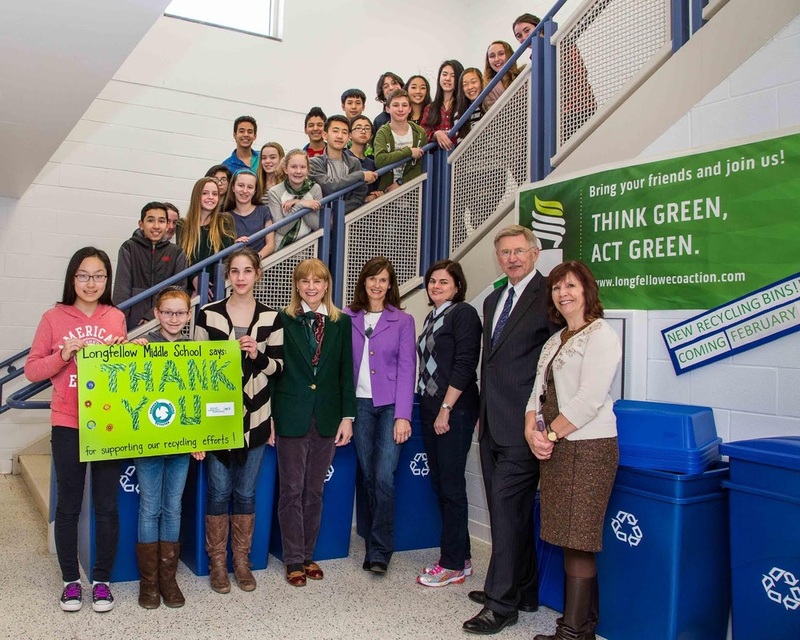 In 2014, under the leadership of Principal Carole Kihm and the parent, teacher, and student volunteers of Longfellow's Eco-Action Team, Longfellow made great strides in greening both the school and the grounds. 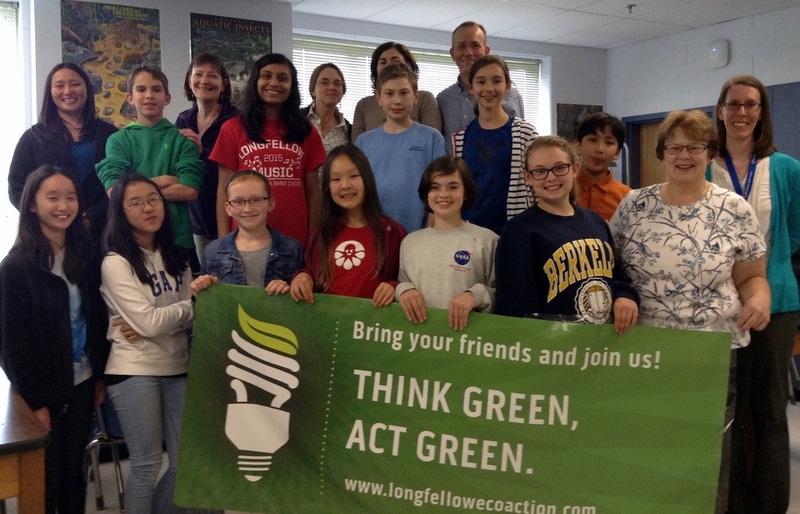 And in June 2015, Longfellow was awarded the highly coveted Green Flag Status by the National Wildlife Federation under its Eco Schools USA Program (see article below). As part of the Green Apple Day of Service, on Saturday, October 17, 2015, from 10:00 am to 1:00 pm, the Eco Action Team will sponsor the continued greening of Longfellow grounds, by beginning ecovations to Longfellow Pathway. Longfellow Pathway bridges Longfellow Middle School with Haycock-Longfellow Park, and is part of the Fairfax County Park Authority and the Chesapeake Bay Watershed. The site, known as Burke Stream, is managed by the School Grounds Lead through the Fairfax County Park Authority's Invasive Management Area (IMA) Program. 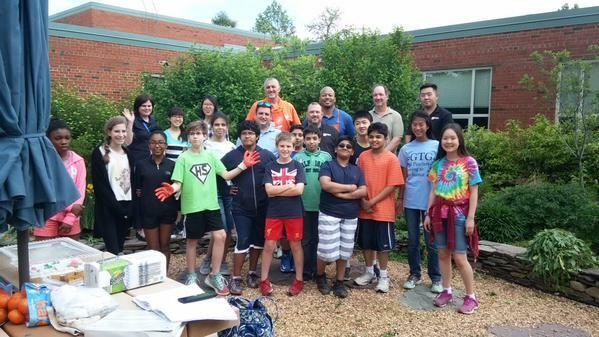 Over the last two years, students and parents have removed invasive shrubs, plants and vines along Burke Stream. The ecovation of Longfellow Pathway will enable the continued efforts at Burke Stream, and aid in the reintroduction of native wildlife that depend on native plants. Visit the Green Apple web site for more information about the September 26 ecovation project. The Longfellow Eco-Action team is pleased to report that we have earned the prestigious "Green Flag" status from the National Wildlife Federation. Longfellow is one of only seven schools in Fairfax County that have earned this status. Many thanks to our teacher sponsors, Patrice O'Connor and Kate Williams, and the many students, parents, and staff who helped us achieve this environmental goal!